After posting the first half of my 2014 Le Mans 24 Hours Review the other day, the time has come to review the second half of a vast 2014 LMP2 entry, after a scintillating class battle for victory across the entirety of the 24 Hours. 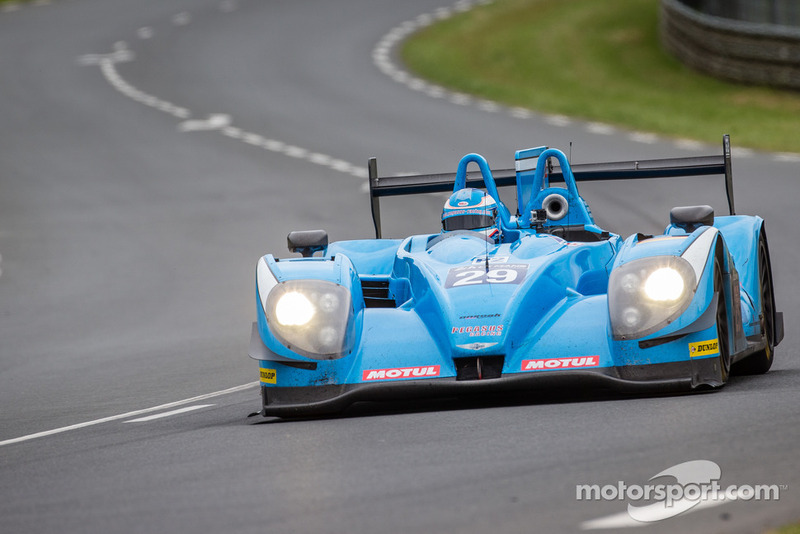 For the #37 SMP Racing Oreca-Nissan entry, things didn’t go to plan for the team as they suffered a tumultuous race week, as their car suffered from some niggly problems and accidents. 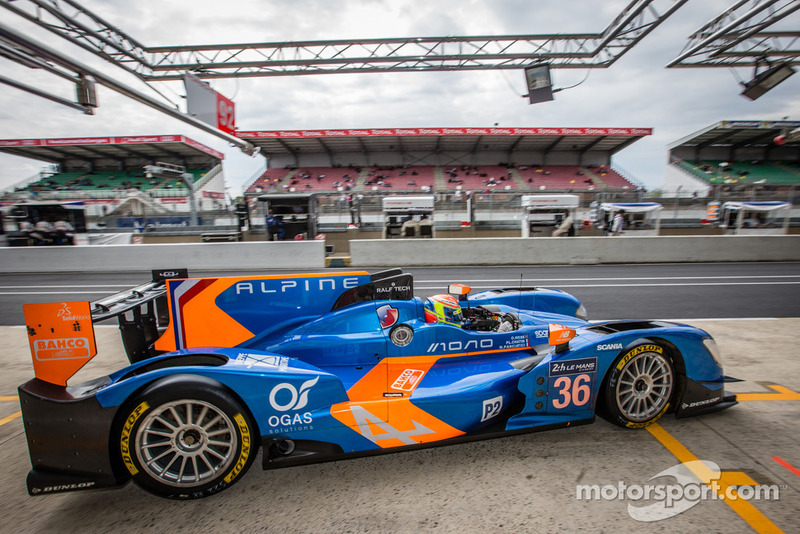 This hampered the car as they were mired in the LMP2 midfield after qualifying, a place they remained until their retirement from the 24 Hours after only 9 laps. A thoroughly disappointing race for this team, although they can be confident of their LMP2 class challenging pace will be back for the rest of the World Endurance Championship this year. 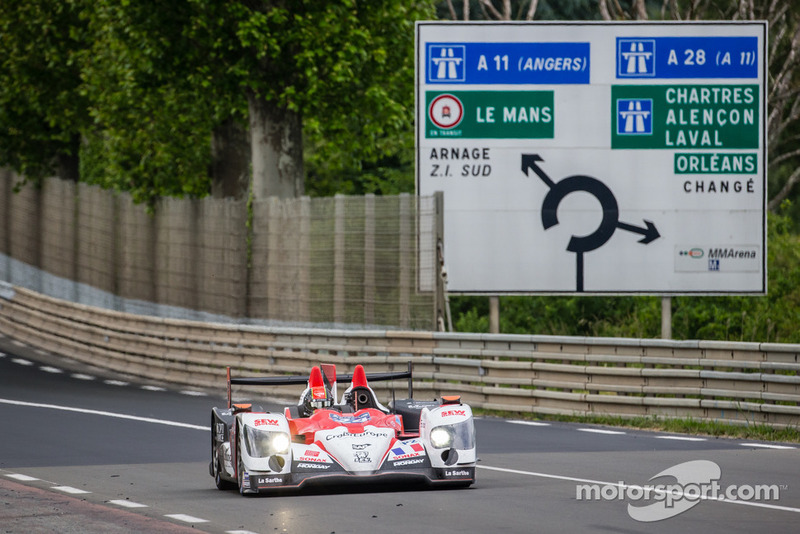 The Le Mans 24 Hours week seemed a fairy tale story for this close knit Jota Sport team, despite some hiccups along the way, they came through to claim a popular class victory. The team and their #38 Zytek-Nissan entry was on the pace from the start of free practice, and claimed 2nd in class after qualifying finished on Thursday evening. The team however, had already faced major upheaval as original driver Marc Gene was commandeered by Audi after their driver Loic Duval was unable to race after a scary free practice shunt on Wednesday afternoon.The team subsequently drafted in Oliver Turvey at the very last minute, and from the start of the 24 Hours this entry was competitive in the LMP2 class. 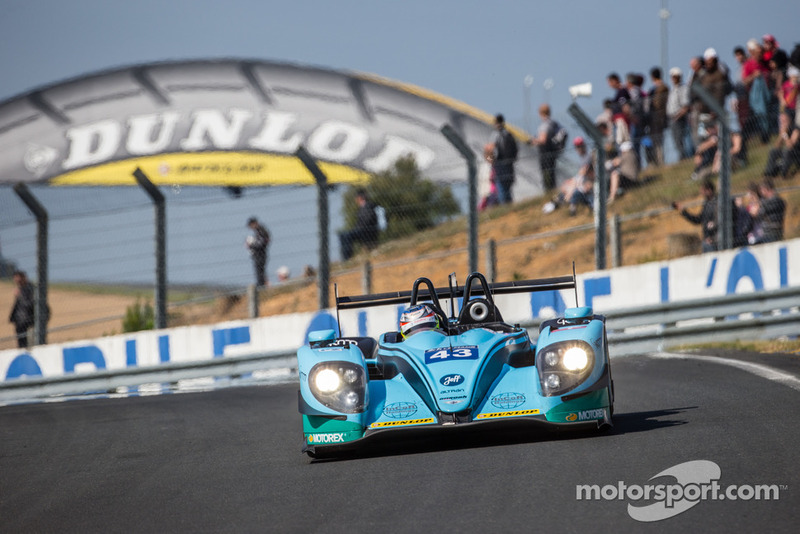 After problems for the #35 OAK Racing Ligier and #34 Race Performance Oreca on Sunday morning, the team lay 3rd in class and Le Mans rookie Harry Tincknell set about closing the gap. From here to the finish the team never let up the pace, and eventually Oliver Turvey was able to overtake the Thiriet by TDS Ligier in the final hour to claim a fairy tale victory for the team. 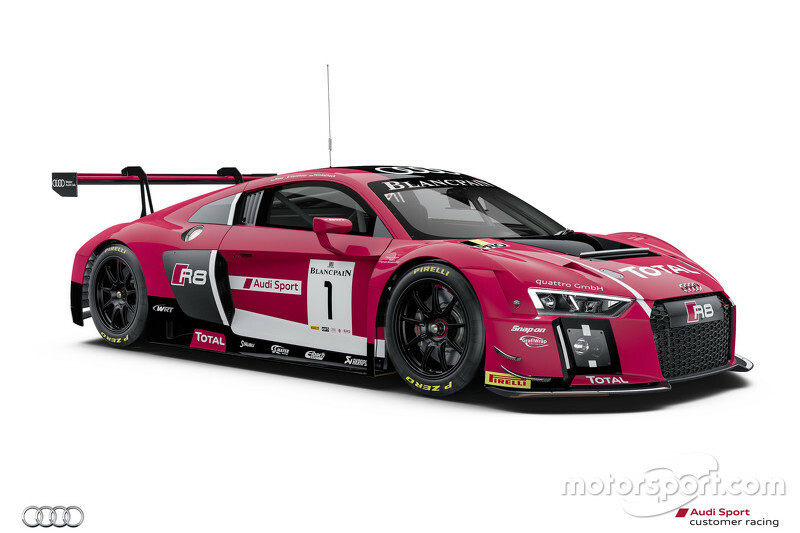 Expect this team to carry over it’s competitiveness to the rest of the 2014 European Le Mans Series. For the #41 entry, the 2014 Le Mans 24 Hours was ultimately a disappointing one as this team appeared to be off the leading pace in LMP2 this year, before an unlucky retirement spoilt their chances for a good result in the 24 Hours. The team struggled through qualifying as they posted the slowest time in the LMP2, leaving them plenty of work to do to recover in the 24 Hours. 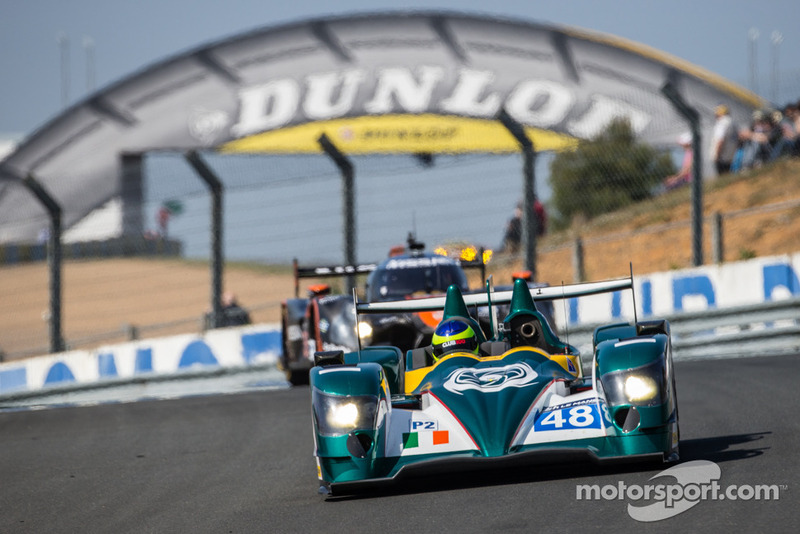 Sadly for this successful team, they didn’t get the opportunity to salvage a good result come race day, as sudden rain fall a few hours into the race caught the #41 entry out at Terte Rouge as Le Mans rookie Michael Munemann spun and collected the spinning #48 Murphy Prototypes entry of Karun Chandhok. Whilst the Murphy Prototypes entry was able to repair it’s car and re-join the race, the #41 was unfortunately eliminated after the damage cause proved too much to repair. It was a hugely disappointing way to retire yet the conditions were hugely challenging in this portion of the race. Expect the team to show their potential in 2015, hopefully with the same line-up so they can avenge this year’s disappointing result. The second of the Greaves entry, although in Caterham racing attire thanks to a link up between the two, had a rather more promising run in the 24 Hours than it’s sister #41 entry. The team’s driver line-up showed decent pace throughout the 24 Hours, yet unfortunately they were not able to capitalise on this thanks to a few problems during the race. The team did at least finish the race, although they were hoping for slightly better than 11th in class and 25 overall. Nevertheless, the team did at least finish and showed character during the race. Special mention must go to driver Matt McMurry, who performed expertly throughout the race and broke the record for the youngest driver to compete at Le Mans at 16 years old. 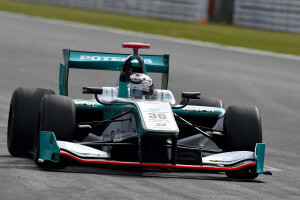 This team should have much more luck in the remaining round of their ELMS campaign, and hopefully the same line up will return for more in 2015. Throughout race week, this relatively new #43 Morand racing entry proved an unexpected higher midfield runner in LMP2, qualifying 8th and showing genuine pace in the hands of all 3 drivers, and most importantly a clean run, which left them in a good position by Sunday lunchtime. The team then solidified it’s position as it crossed the line 6th in class and 10th overall. For this team a top 10 overall finish can only be viewed as a great result, as they successfully transferred their pace in the ELMS over to the 24 Hours. This team can only grow from here and may well prove a dark horse for a podium next year. The #46 Thiriet by TDS racing team were competitive from the moment free practice started with their new Ligier JSP2 coupe. 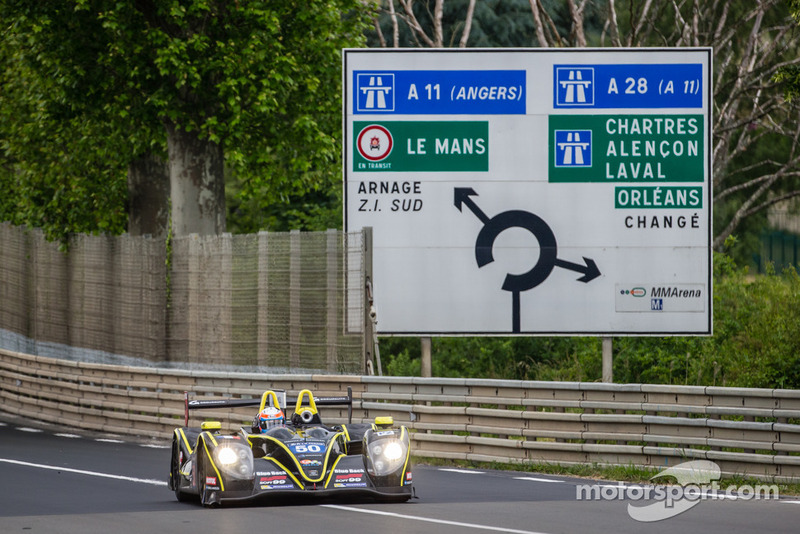 The feared reliability issues never materialised for this entry as they stormed to the LMP2 class pole in qualifying. The team then carried over this pace into the 24 Hours, where they were always in the top 5 and battling for the class lead. After problems for the #35 OAK racing Ligier blunted their challenge the #46 Thiriet by TDS entry was there to pick up the class lead, hoping to hold on until the finish. 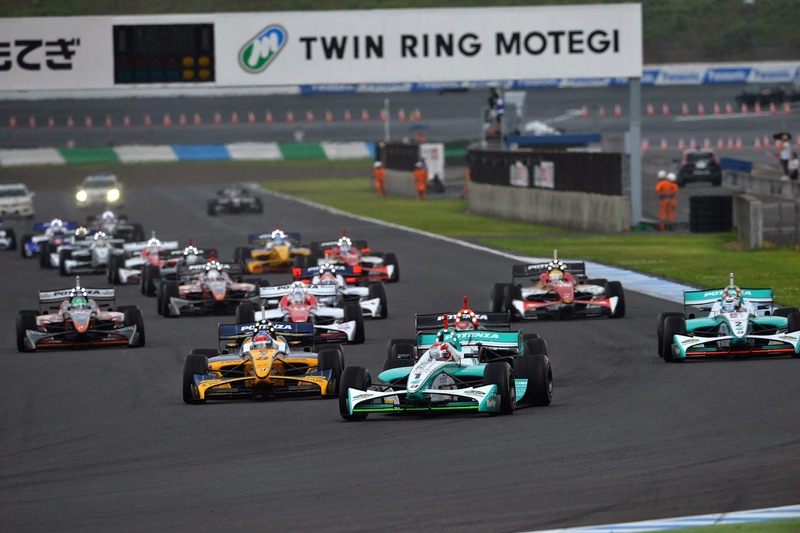 Tristan Gommendy and Ludovic Badey tried their best to respond to the late charge from Harry Tincknell and Oliver Turvey at Jota. Heartbreakingly for this team, after the final pit stops there challenge appeared not to be enough as Jota jumped them in the pits. The team threw new tyres on the car as a last gasp chance, yet Turvey was able to manage the gap and eventually finished a lap ahead as the #46 entry was held up behind the winning Audi’s final lap procession. This team can be massively proud with 2nd in class and showed genuine pace which should ensure their challenging for victories in the remaining ELMS rounds. This team is back at it’s best again and expect big things in 2015. For the Asian based KCMG team showed huge potential in the 24 Hours, something which unfortunately did not lead to a good result for this team. After qualifying the team showed higher midfield pace, yet it was in the 24 Hours that this entry came alive, as opening driver Alex Imperatori showed stunning pace as he rose through the field and began trading the class lead with the #38 Jota entry. Sadly from here things went downhill for the #47 Oreca-Nissan, as sudden rain fall in the race’s second hour caught out Imperatori, who crashed heavily at the first Mulsanne Chicane, with the extensive damage to the car being enough to force this promising entry into retirement. The team can take positives from their showing however, because if they show this kind of pace in the remaining WEC rounds, expect them to take some class wins, and hopefully they’ll return with some better luck in 2015. 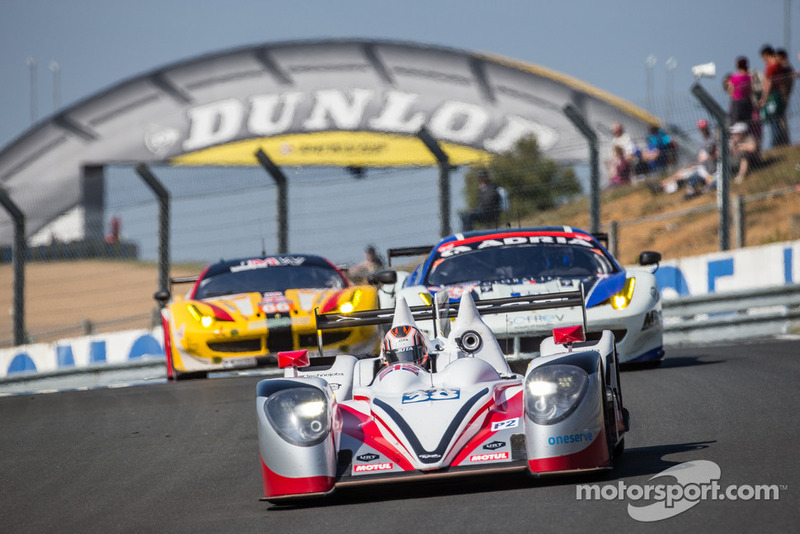 For the experienced Murphy Prototypes team, Le Mans 2014 proved a disappointing one as the team showed the potential for a top 6 finish, yet were one of many teams to be caught out by the changeable conditions in the opening few hours of the race. From the start they took a assured and steady approach, yet they were first caught out in a collision with the #41 Greaves entry, which cost them time. From here the team tried to make up places yet it wasn’t long before the car was suffering again as they were forced out after only a few hours. This team had a dynamite driver line-up, who will all be hoping their dreadful luck so far will not be repeated in the remaining ELMS rounds. This entry deserves a great result next year if they retain this line-up. 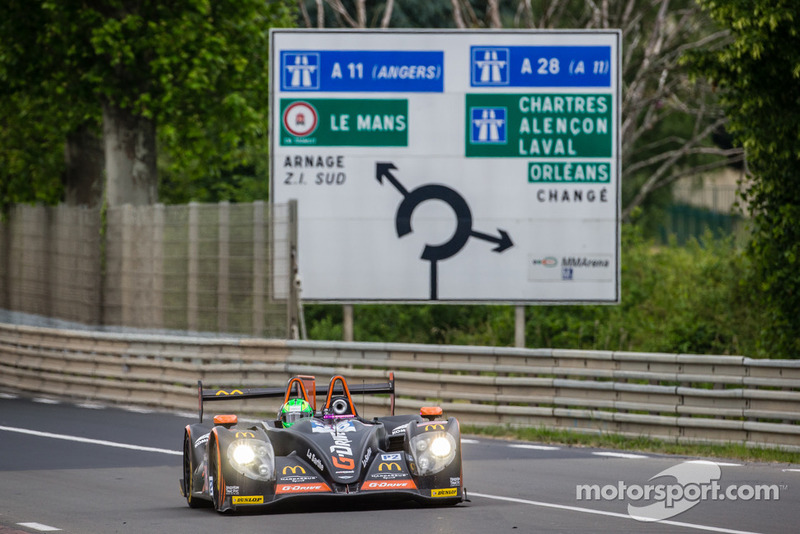 For the Larbre competition team, their inaugural Le Mans 24 Hours in the LMP2 class, after years of success in the GTE Am category, proved a steady and sensible race where they emerged unscathed from the madness to claim a decent result with 14th overall. Although the team lacked the outright speed to win the class, all 3 drivers proved more than capable and all showed their potential at times throughout the race. 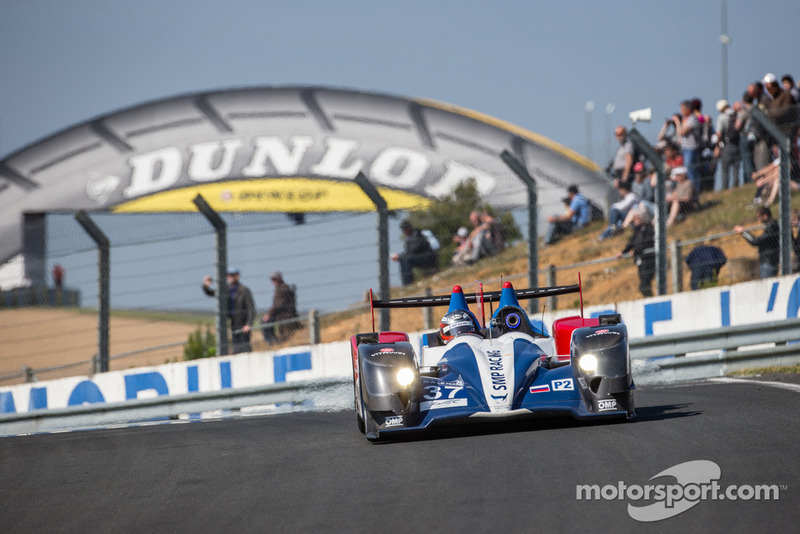 For Jacques Leconte’s team, a finish in their first year in LMP2 can only be viewed as a success, however the fact they finished 9th in class shows the competitiveness of the LMP2 category, which is something the team will hope to improve on the remaining ELMS rounds and hopefully the 2015 Le Mans 24 Hours also. 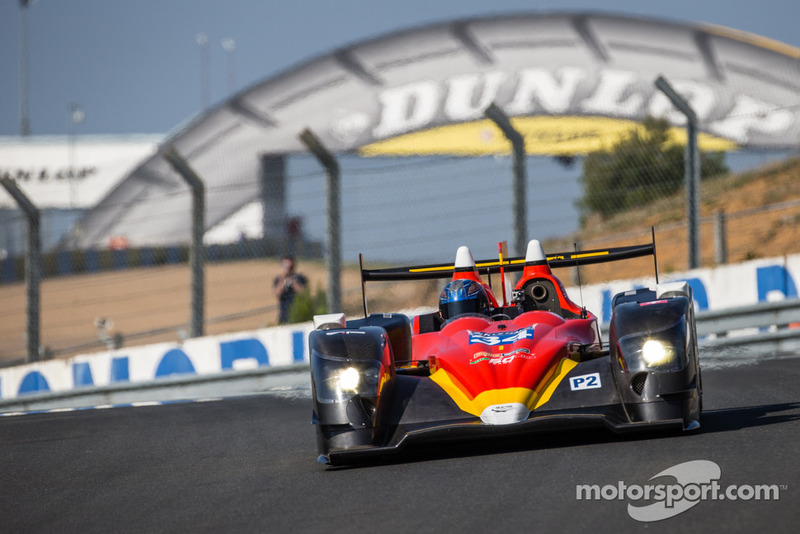 That’s a wrap for my 2014 Le Mans 24 Hours LMP2 Review, I hope you enjoyed it and please feel free to give your comments, my details are in the Contact section of my blog. Once again a massive thank you to http://www.Motorsport.com for their amazing photos, which are definitely worth viewing in full on their website. Next up is the GTE Pro review, so stay tuned. Enjoy! 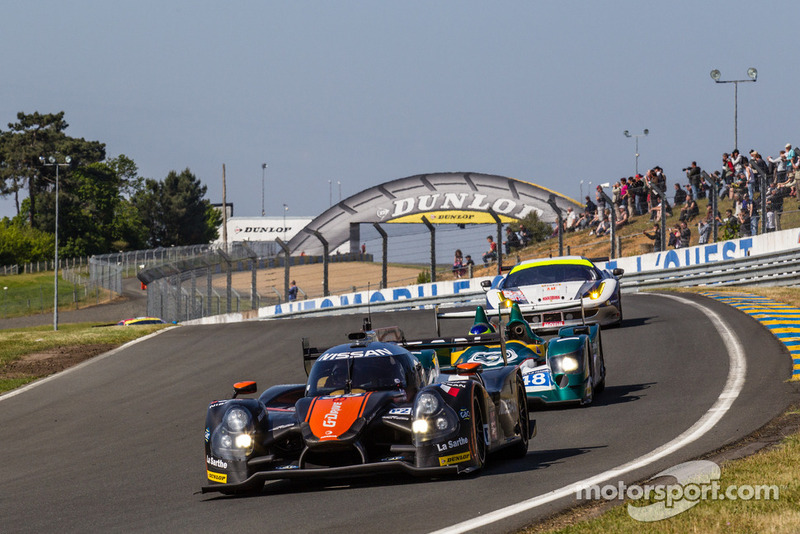 The 2014 Le Mans 24 Hours cemented the argument that this year’s LMP2 class was the most competitive in at least a decade if not more, although the class has struggled for numbers this year, especially in the World Endurance Championship, the 17 car entry for the 24 Hours provided a scintillating battle throughout the full 24 Hours. This class provided everything with stunning speed, intense battles for position and finally a popular class winner in the Jota Sport team. For 2015 this class has a lot to live up after this year. Although I included this entry in my LMP2 preview post, it seemed as soon as I posted it this entry was withdrawn, as the funding issues which have prevented this car from running in the WEC so far this season reared it’s ugly head again. These funding issues must be frustrating for everyone involved with this Alan Docking Racing ran team, which if it ever makes it on track this year, will prove a formidable challenger for class honours with a very strong team and driver line-up. Let’s hope we see this car in action before the year’s out. For this relatively young team, this years Le Mans 24 Hours almost provided a fairy tale for them, as the team came an agonisingly close 4th in LMP2, only 1 lap off the podium. 4th for this new team is still a magical result for the team, of which little was expected pre-race. The team’s driver line-up performed admirably, with the stand out of the three being amateur Vincent Capillaire, who more than held his own amongst an army of professional drivers in the class. If this team can retain it’s driver line-up and luck from 2014 going into the 2015 24 Hours, expect them to improve on a 4th in class. A truly great effort from this team this year. For this team the 24 Hours proved a great disappointment as a team that was right in the mix for class honours early on was eliminated on Saturday evening. The OAK racing team and it’s driver line-up were definite contenders for victory, something we were robbed of seeing with their retirement. 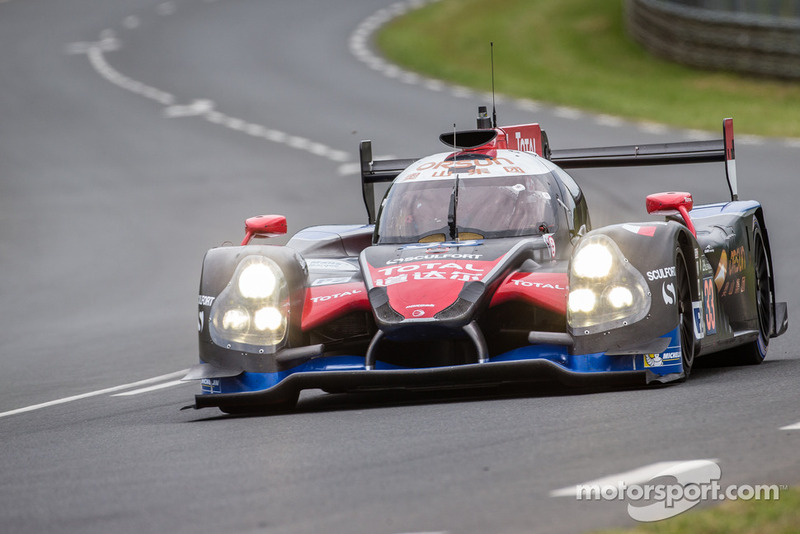 This team looks set to continue it’s dominance of LMP2 in the WEC this year, and hopefully we’ll see a much longer run for this team in 2015. 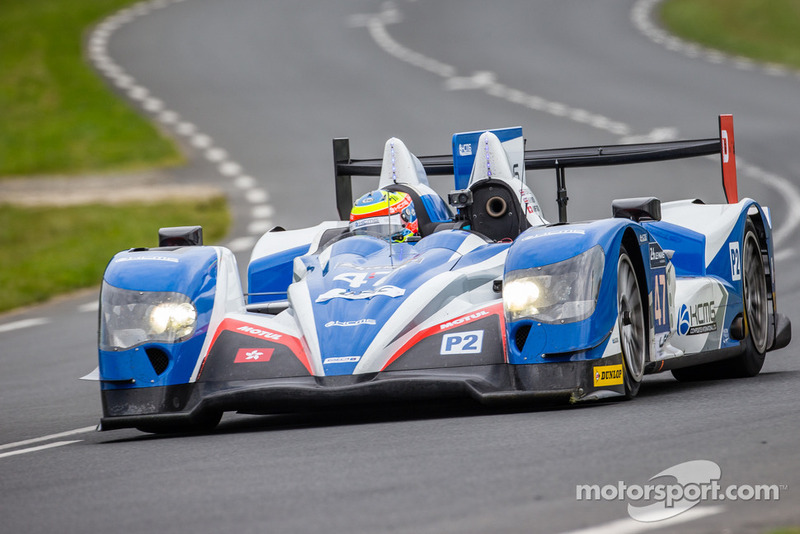 The Russian SMP Racing team came to Le Mans with high expectations and hoping for a great result in the 24 Hours. Things didn’t go to plan however during the whole week as both the team’s entries proved accident prone and slightly off the pace in this highly competitive class. Despite this the team was hoping to shed their bad luck before the start of the race. Sadly this didn’t prove the case as the team was unfortunate to suffer a number of problems throughout the race, something which meant they finished 37th and the final LMP2 car to finish. In reflection, this AF Corse affiliated team will hopefully see that simply finishing the race, after the battle scarred week the team suffered, is enough of an achievement for this year. Expect to see more from this professional outfit in 2015. This team appeared at a huge disadvantage to other entries in this highly competitive class, as to achieving a good result with many experts giving this small team little hope. 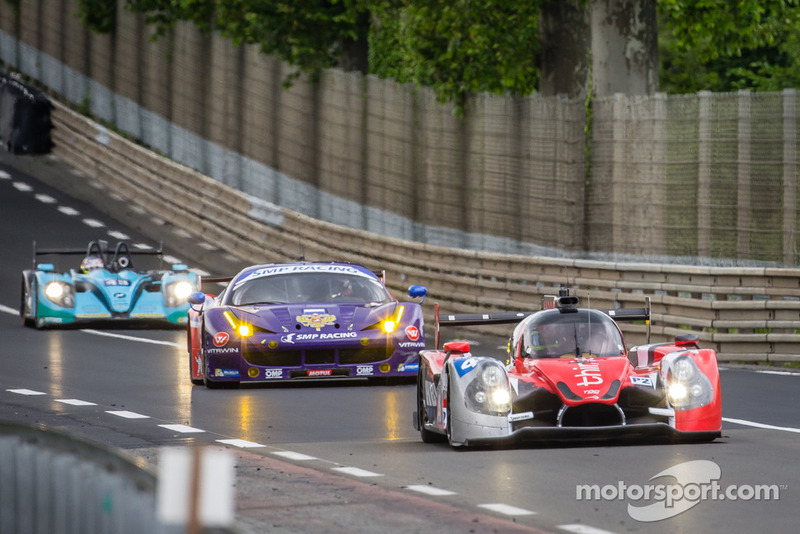 The relatively unknown driver line-up and the fact this is the team’s first time back at Le Mans after several years were their reasoning behind the scepticism. Sadly for this team a misunderstanding with the #1 Audi in Thursday’s evening qualifying session, resulted in a red flag inducing shunt for this entry. The team subsequently performed brilliantly to re-build the car in time for the race. From here the team’s drivers stepped up to the plate to provide a steady run for this team, which managed to stay out of trouble for the rest of the race, although some mechanical reliability hampered the team as they struggled to a 10th place finish in class,18th overall. For this team they showed they were deserving of an entry and should come back stronger in 2015, hopefully for a much more rewarding race. For this OAK racing-Team Asia entry, the 24 Hours proved relatively quiet for them as they soldiered on from a poor qualifying to attain an ultimately rewarding 12th overall and 7th in class finish. Not many thought these great looking new Ligier JSP2 coupe’s would complete the 24 Hours trouble free, despite extensive pre-race testing. This team ran like a metronome and their relatively inexperienced driver line-up drove brilliantly to cope with changeable conditions, and whilst others were throwing their cars off track or suffering reliability issues, they kept going to hopefully the first of many Le Mans finishes for this young team. 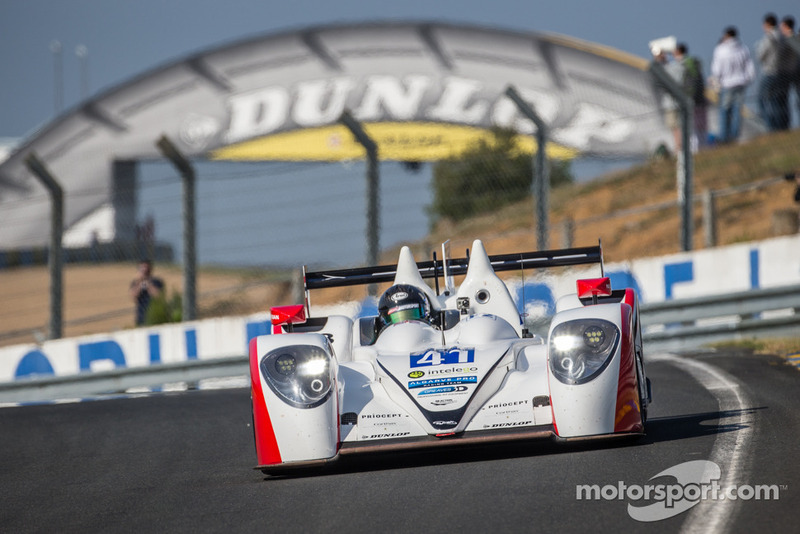 The Race Performance have quietly impressed many within the European Le Mans Series showing so far in 2014, as they have proved competitive in both ELMS before the 24 Hours. Despite their impressive showings, not many tipped this car to challenge for class victory in the 24 Hours. Yet the team pulled a masterstroke in teaming rapid ex-GP2 racer Jon Lancaster with regular drivers Frank Mailleux and Michel Frey. From the start, this car proved competitive as all 3 drivers drove impressively to keep the car in the hunt for victory. Sadly for this team, the car let them down in the final few hours as they were hobbled by a variety of mechanical issues, which left them tumbling down the order as they yo-yoed between the track and garage. The team did at least make the finish, albeit 13th overall and 8th in class. If this team continues it’s upward trend, the team will be hugely competitive next year. Expect big things in the future from this team. Going into the race, this entry appeared one of the favourites for class honours on paper. The OAK racing team are prodigiously successful at the Le Mans 24 Hours, and their driver line-up was arguably the most competitive in the LMP2 class. Ultimately, despite showing blistering pace and leading a portion of the race, the team’s Achilles heel proved exactly it was feared it would be. The new Ligier JSP2 coupe. Although the team made sure to do extensive testing before the race, a few small problems eliminated this car from contention on Sunday morning, something that left the drivers devastated. 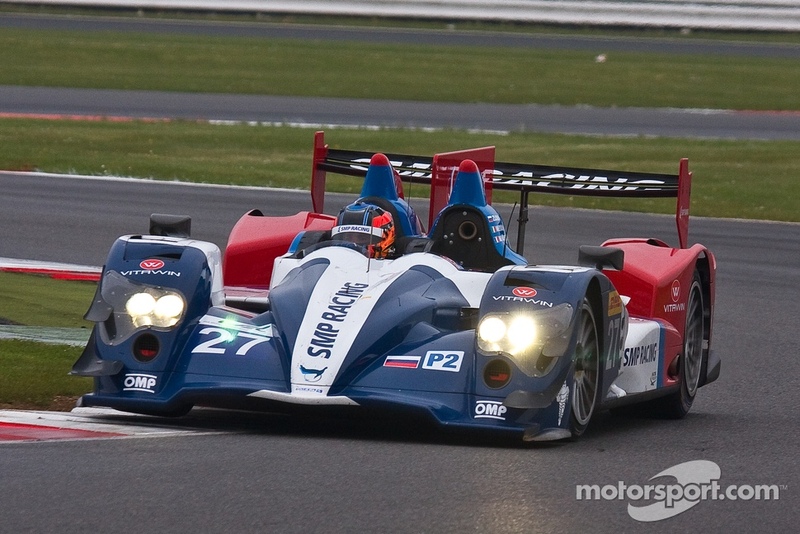 It seemed likely if this car stayed healthy, it would have won the LMP2 class. Something the team will be hoping they can prove in 2015. Preparing for the Le Mans 24 Hours, this team appeared to be struggling as they were well off their 2013 ELMS title winning potential. After the first ELMS race the team changed tyre suppliers, hoping this would solve their issues. 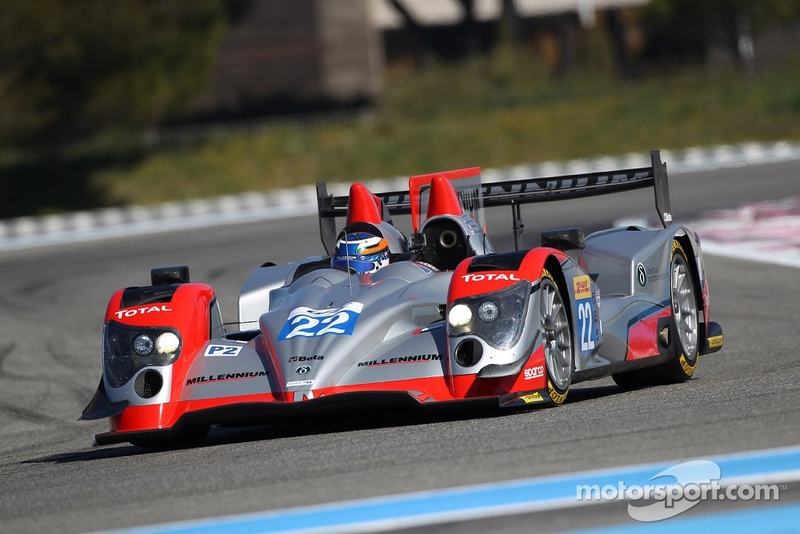 Yet this car still went into the race and under the radar contender for victory in LMP2. 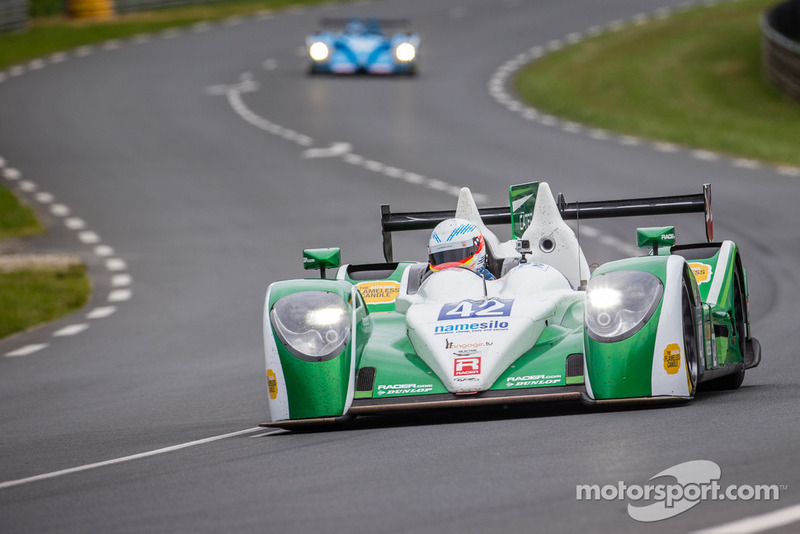 This was despite impressing in qualifying, especially LMPC Prototype graduate Paul Loup-Chatin. Throughout the race the drivers performed impressively and the car stayed out of the garage. This left the team fighting for the top 3 podium positions in class with only a few hours to go. The team battled on into the final hours, eventually coming home a very competitive 3rd in class, and startling 7th overall. The team and drivers were clearly very happy with their result, and with such a young driver line-up, the team has plenty of potential to improve on their 3rd in class next year. That’s it for the first half of my LMP2 Le Mans 24 Hours review, feel free to comment or look at any of my other Le Mans posts over the past few weeks. Finally a huge thanks to http://www.Motorsport.com for their amazing high quality photos please visit their site it’s the first for up to date news and scintillating high quality photos. Enjoy!